. Published on Friday, November 2, 2018 . We currently live in a world where a Jeffree Star tutorial is the first thing you see on YouTube’s trending page, a new Anastasia Beverly Hills palette drops and gets sold out in minutes and the “it girl” supermodel is the latest face on a drugstore beauty campaign, makeup seems to be something that is on everyone’s minds, faces and feeds. But shopping for makeup can be a gamble, both for your complexion and your wallet. Sephora? Too expensive. Target? Always hit or miss. The solution is to shop small and support independent makeup brands that you can’t find in stores. Indie beauty brands are known to work a little harder to perfect their formulas, carry a wider range of shades and produce highly-pigmented colors you wouldn’t ever see on shelves at your local Walgreens. Read on to see our favorites! Sugarpill Cosmetics has elevated makeup with its unique and colorful variety of lip products, eyeshadows, blushes, loose pigments and eyelashes. It is especially popular among the drag community—the original pioneers of what is known today as baking, contouring and cut creasing—collaborating with famous drag superstars, Kim Chi and Trixie Mattel. According to Amy Doan, the company’s founder, “Sugarpill is a cruelty-free line of bold, innovative and richly pigmented cosmetics. We make unapologetically cute makeup for beauty rebels who can’t help but stand out from the crowd! We believe in the freedom of limitless self-expression through makeup.” Count us all the way in! 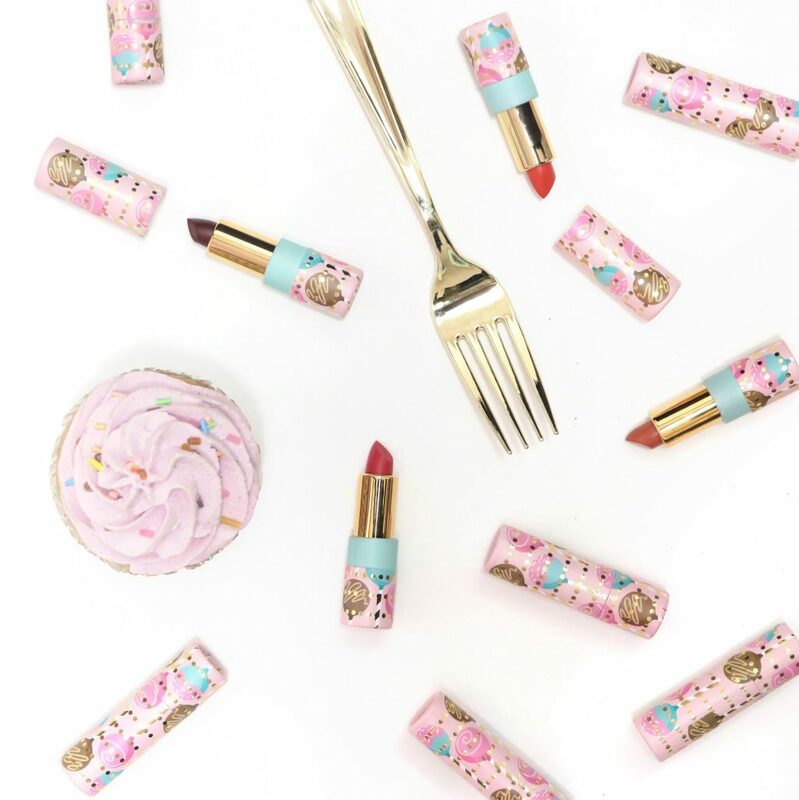 Beauty Bakerie’s products are not only absolutely adorable because of their baking-themed packaging (check out their Flour Setting Powder, Cake Mix foundation and Eyelash Icing mascara) but they’re also inspiring. After Beauty Bakerie’s founder, Cashmere Nicole was diagnosed with breast cancer, she began paying attention to the products that she used on her skin, investigating all the different ingredients in cosmetics. After discovering how the alarming amount of harmful chemicals in her own beauty products, she decided to create her own non-toxic and inclusive brand for all skin tones. Nicole has been applauded for offering a wide variety of shades for darker skin tones. “It’s important as leaders of brands to identify whose needs aren’t being met,” she said in an interview with Allure Magazine. “It doesn’t matter how ‘small’ that need may seem to you. It’s a true need, even if only one of them sells off of the shelf.” Beyoncé and Kehlani are avid supporters and Cardi B has been seen wearing their Matte Lip Whips on several occasions, so it’s safe to say that Beauty Bakerie has earned its place in the beauty world. SUVA Beauty was born in early 2015 by Shaina Azad. Having been a foreign policy university student, journalist, international marketing consultant, film and TV makeup artist and makeup teacher at the Blanche Macdonald Centre in Vancouver, Azad racked up a ton of experience under her belt, which led her to create her very own cosmetic line catered to professional makeup artistry. According to their website, “SUVA Beauty is formulated to be bold, inventive, imaginative, weird and cheeky.” They are most known for their bold signature butter, water-resistant shadows that are formulated with built-in eyeshadow primer for a seamless and pigmented application. Check out their Instagram to see all the creative and iconic looks that were created with their products. Speaking of inspirational brands, Alamar Cosmetics was created by Gabriela Trujillo, the daughter of a beauty salon worker in an urban low-income housing barrio in Alamar, Cuba. Trujillo and her family immigrated to Miami, Florida and from there, she worked her way to becoming a makeup wizard at MAC Cosmetics, Glamsquad and Boxycharm. Trujillo said, “I knew I wanted to reflect my culture in my brand because it is what truly inspires me and pushes me forward. I wanted to showcase the colors and energy that the Latinx culture has to offer. In turn, I hope it inspires everyone who comes across my brand to tap into their own roots for inspiration.” Currently, Alamar Cosmetics only has two products out: a beautiful, vibrant eyeshadow palette (The Reina Del Caribe Vol.1) and a high-quality and affordable brush set (The Ojitos Brush Trio). Alamar Cosmetics is one to look out for, so keep an eye out for new products to come. Which indie beauty brand peaked your interest the most? Let us know using the hashtag #CampusCropChat on Facebook, Twitter and Instagram. Don’t forget to follow us on Snapchat @asicpp!